Downstairs, at the back of the house are 4 important spaces. If you are tall, do watch your head as you go, as the headroom in the access way is restricted! Once in the rear hall you will find a small bookcase with lots of information about Shetland attractions as well as some local Ordinance Survey maps of Shetland for you to use during your stay. You will also find a selection of board games to enjoy together on the occasional night in. 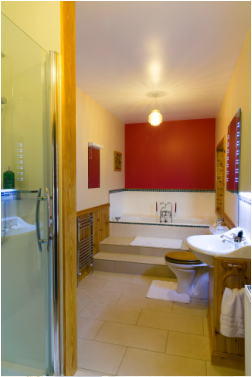 The generously sized bathroom down stairs has a separate shower and semi sunken bath - an inviting space for a candle-lit soak. 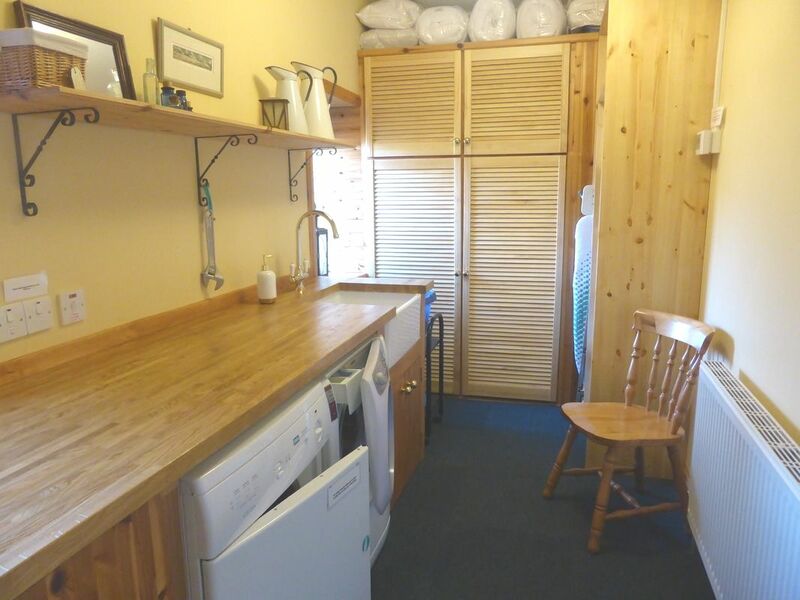 Also accessed from the rear hall is the utility room, equipped with a washing machine and condensing dryer. We provide Ecover detergent and fabric softener. Addtionally there is a pulley - another great Scottish domestic helper! It's ideal for hanging up larger damp items to dry overnight, as the room is kept warm by the central heating boiler. You will find controls for the heating here too. This is also the place to pick up your beach towels. 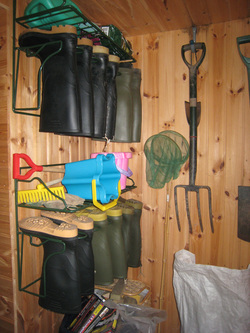 The rear porch - accessed from the rear hall - holds a selection of wellington boots - sizes 11, 10, 8, 6(x2) and 5. There are also nets and buckets and spades for small visitors. Materials for making up the fire in the sitting room are kept here too.